Should artists be activists? Is activist art one of an artist’s primary responsibilities or a pointless sideshow on the fringes of serious politics? 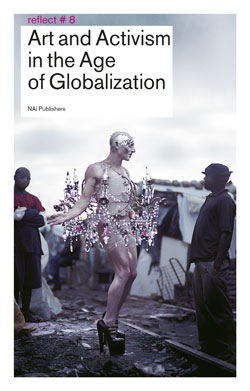 The philosopher, writer and art historian Lieven de Cauter, Ruben de Roo and Karel Vanhaesebrouck explore this theme in collaboration with other thinkers and doers in his new book Art and Activism in the Age of Globalization. In a time of globalization, populism, hypercapitalism, migration, War on Terror, and global warming, artistic engagement is vital. Art and Activism in the Age of Globalization takes the measure of contemporary activist art. What is the role of art and activism in the polarized, populist society of the spectacle? Art & Activism examines both the criticism of engagement as a mere pose and the need for cultural activism in today’s society. Urban activism and activism by anonymous networks are also investigated. Special attention is devoted to the effects of the War on Terror on activism in practice. The book concludes with a theoretical framework for contemporary activism and an impassioned plea for genuinely political art. 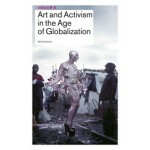 Lieven de Cauter, Ruben De Roo and Karel Vanhaesebrouck co-edited Art and Activism in the Age of Globalization. Contributors include BAVO, Rosi Braidotti, Pippo Delbono, Pascal Gielen, Brian Holmes André Gattolin & Thierry Lefebvre, Rudi Laermans, Dieter Lesage and Jennifer Flores Sternad.